Murder by Gaslight: The Bessie Little Mystery. A swimmer in the Miami River outside of Dayton, Ohio, discovered the body of a young woman floating in the water on September 3, 1896. The coroner found nothing to indicate violence; the cause of death was believed to be suicide and the unidentified body was hastily buried. When he heard of the body in the river, Dayton Police Chief Thomas Farrell believed he knew who she was, and he had reason to believe that she had been murdered. Farrell had the woman’s body disinterred and soon after she was identified as 23-year-old Bessie Little by her adopted parents and by her dentist who kept detailed records of his patients’ teeth. The coroner still could not determine the cause of death and the body was reburied. Her parents said they did not report Bessie missing because she had left home several weeks earlier to look for work; she was living in a Dayton boarding house run by Mrs. Freese. The full story was, the Little’s had kicked Bessie out of their house when they learned she had been intimate with her boyfriend 20-year-old Albert Frantz. They told her not to return unless he agreed to marry her. Mrs. Freese verified that Bessie had been staying at her boarding house and that Albert Frantz had been paying her weekly rent. She said that the last time she saw Bessie was on August 27, when Bessie told her she was going for a buggy ride with Frantz. The following day Frantz came to the house asking for Bessie and Mrs. Freese told him she never came home from the buggy ride. Frantz said she was mistaken about the buggy ride; he had not seen Bessie the night before. He then paid her Bessie’s next week’s rent in advance. Bessie Little and Albert Frantz were from different economic backgrounds. As a baby, Bessie had been an orphan at the Miami County Children’s Home; Peter Little and his wife adopted her when she was two-years-old. But the Little’s were poor and as soon as she was old enough they put Bessie to work as a domestic servant. Albert Frantz worked as a stenographer for the Mathias Planing Mill Co. He came from a wealthy family; the youngest of five children he was spoiled by his parents and siblings. Those who knew Frantz well described him as “cruel and cunning” but Bessie was infatuated by him. Shortly before her death, Bessie consulted a physician and some believed that she had been pregnant or had even undergone an abortion. In any case, her parents knew enough about her relations with Frantz to bar her from the house until she either broke them off or married him. Among her belongings, police found an unmailed letter addressed to the father of Albert Frantz, begging him to force a marriage. It had been easy for Frantz to seduce Bessie but he had no intention of marrying her. Frantz maintained that he had not been with Bessie on the night of her disappearance but Chief Farrell did not believe him and kept Frantz in custody pending the outcome of the coroner’s investigation. 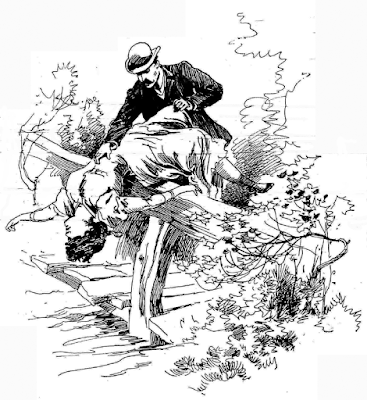 Farrell had been able to identify the body because he knew Bessie Little had been thrown in the river even before the body was found. Frantz, with a relative, had gone to see Rev. Teeter for advice, telling him that Bessie had killed herself and he had thrown her body into the river. He wanted to know how the law would view the situation, so Rev. Teeter referred him to Judge J.W. Kreitzer. They attempted to keep the matter secret, but the story leaked out. Judge Kreitzer, acting as Frantz legal counsel would not confirm or deny the story, but Chief Farrell heard it and when the body was discovered in the Miami River, Farrell knew who it was. Farrell was convinced that Albert Frantz murdered Bessie Little, but Frantz denied seeing Bessie that night and there was no evidence to directly link him to her death. Then on September 5, someone found a freshly dried pool of blood along with two decorative combs identified as belonging to Bessie, on the Stillwater Bridge about half a mile from the spot where the body was found. There were also buggy tire tracks believed to be connected to the blood. This was enough to justify digging up the body once more. This time the coroner’s close examination discovered two gunshot wounds in the right ear and although the bullets had been shattered by bone, enough lead was recovered for two 32-caliber bullets. The head was then severed from the body and preserved in a jar; the body was reburied. Ferrell went to the home of Albert Frantz to try to compare his buggy’s tires to the prints left on the bridge, only to find that the Frantz’s stable had burned down the day after Bessie was last seen. The horse was killed and the buggy completely destroyed. Frantz now changed his story. He and Bessie had been riding in his buggy and Bessie had been somewhat despondent. When he wasn’t looking, she drew a revolver and shot herself. Panicked and afraid the story would not be believed, he threw Bessie’s body off the bridge. The obvious flaw in this story was that two shots were fired into her head. The post-mortem examination showed two entry wounds and people living near the bridge recalled hearing cries of “Murder!” that night, followed by two gunshots. 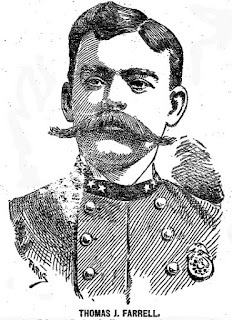 The revolver was still missing, and Chief Farrell was determined to find it. Believing that it had been thrown off the bridge along with the body, he mounted an all-out search of the river below. He obtained twelve powerful magnets, weighing three pounds each, and using two rowboats, dragged them along the bottom of the river trying to attract the gun. When this failed he hired Ben Graham, a professional diver who agreed to work for expenses. A.E. Pate, a champion swimmer also volunteered his services. While the river search proved fruitless, Farrell learned that Frantz had purchased a revolver at Dodd’s gun shop in Dayton three weeks before Bessie disappeared. He also learned that while courting Bessie Frantz was also engaged to another woman. With this possible motive, the prosecutors felt they had enough circumstantial evidence to try Albert Frantz for the murder of Bessie Little. More than a hundred witnesses testified at the trial which began on December 14, 1896. Frantz still maintained that Bessie had shot herself. The prosecution brought out Bessie’s severed head to show the jurors the two entry wounds. Several physicians testified as to the possibility that Bessie had shot herself twice in the head. The defense’s doctors saying it was possible, the prosecution’s saying it was not. The defense did not claim that Frantz had been temporarily insane, but just in case, the prosecution had six doctors examine Frantz and testify that he was perfectly sane. Though the evidence was circumstantial it was enough for the jury to convict Albert Frantz of first-degree murder and he was sentenced to death. On November 19, 1897, after all possible appeals failed, Albert Frantz became the fourth man to die in Ohio’s electric chair. He professed his innocence to the end. “A Bullet in Her Head,” Philadelphia Inquirer, September 6, 1896. “The Death Penalty,” The Dayton Herald, November 19, 1897. “Devil's Deed,” Kentucky Post, September 7, 1896. 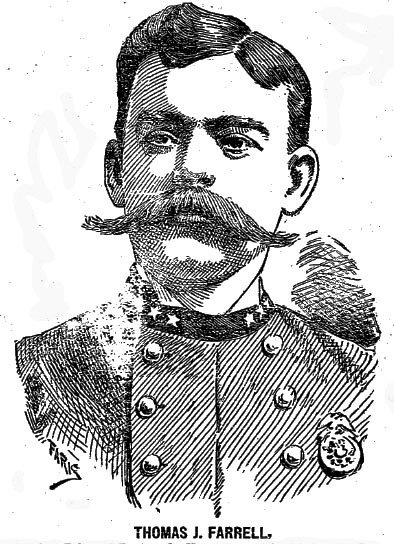 “Frantz's Fight For His Life,” Kentucky Post, December 14, 1896. “Frantz's Revolver,” The Dayton Herald, December 18, 1896. “Franz has Another Story,” Plain Dealer, September 11, 1896. “His Love For Another ,” Kentucky Post, September 10, 1896. “Is it Murder?,” Kentucky Post, September 5, 1896. “Located,” Kentucky Post, September 12, 1896. “Murder or Suicide?,” National Police Gazette, January 16, 1897, 6. “One Link,” Kentucky Post, September 5, 1896. 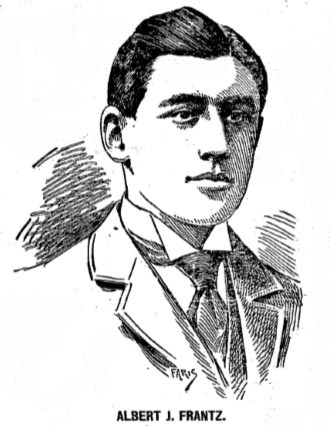 “Sentenced Frantz,” Aberdeen Daily News, January 27, 1897. 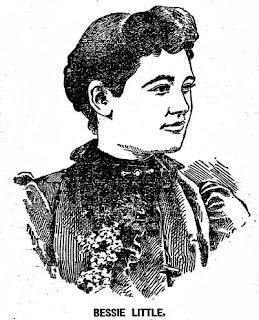 “She Was Murdered,” Plain Dealer, September 6, 1896. “Two Stories Of A Crime,” Plain Dealer, December 17, 1896. One would assume most persons think that forensic science only came about in the last 50 years are so...but reading these stories of how police work, coroner's, and even dentists conducted investigations, reveals it's origins 120 plus years easily.